Healthy coral reefs in the Coral Triangle are among the most biodiverse environments on this planet and provide vital ecosystem services. Besides supplying food and jobs, protecting coastlines and acting as nursing grounds for commercially important species, they are also important for recreation and tourism. There are hundreds of world class recreational SCUBA dive sites in the Coral Triangle and new ones are made accessible for tourism every year. Tourist spending on coastal and marine- based eco-tourism in the Coral Triangle is increasing each year, suggesting that the economic extent of habitat- and wildlife conservation is progressively more important for the national and local economies of the member countries. In the Philippines, Malaysia and Indonesia nature-based adventure tourism is already a crucial part of the national income and helps to diversify local economies away from traditional manufacturing and exploitation of natural resources. In Papua New Guinea, the Solomon Islands and Timor-Leste tourism in general is still relatively less developed, but holds enormous potential. There is a strong economic case for private enterprises and governments to invest in responsible tourism, which in return has the prospect of being a major contributor to public awareness and to help support conservation if it is managed well. In order to have exciting wildlife encounters with flagship marine species, an increasing number of tourists are visiting Marine Protected Areas (MPA's) to participate in SCUBA diving and snorkelling activities. This growth can impose additional challenges on local goverments that are already stretched for resources. Local governments often struggle to ensure that developments for visitors are built and operated sustainably, they have to manage increased productions of waste, provide sufficient water and energy supplies, and manage potential social conflicts due to the import of "non-local" human resources. Visitors can also cause disturbance to the natural behaviour of wildlife by their presence and due to noise and light pollution. 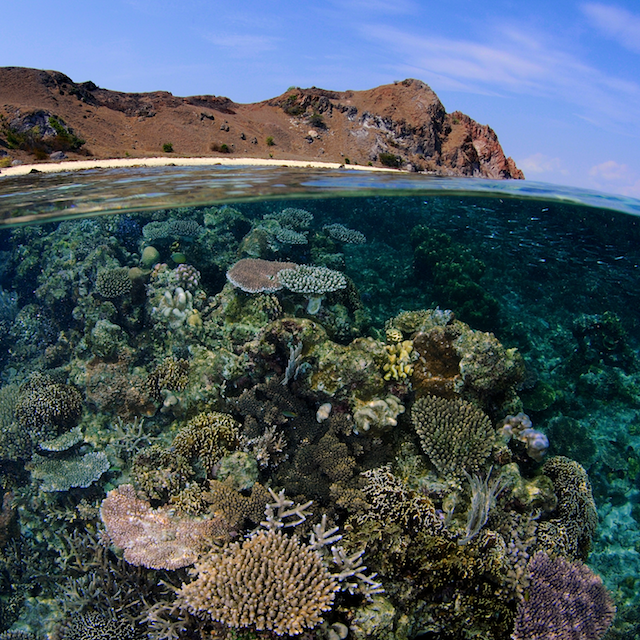 Some Coral Triangle governments have introduced measures to counter these adverse consequences of tourism development by setting daily visitor quotas for marine parks or investing in essential support infrastructure. Various non-profit organisations have been developing tools to help the tourism industry operate in a more sustainable way, for example by providing guidelines and support for non-intrusive interaction with wildlife, sustainable food and beverage, garbage disposal solutions and reducing energy consumption. Even though marine tourism can be well-managed on a regional level, climate change might still be the single largest threat to a prospering marine tourism industry in the Coral Triangle. 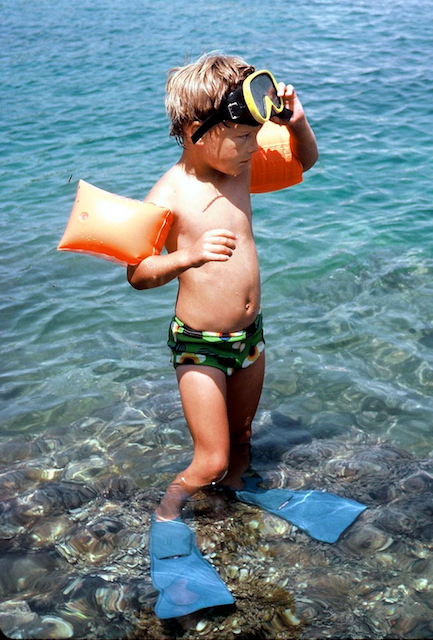 SCUBA divers and snorkelers pay to experience scenic, intact and diverse habitats and to encounter wildlife. Sea-level rise and storms of increasing strength and frequency have already made notable impact on the thousands of low-lying islands, coastal regions and coral reefs. Coastal erosion will lead to siltation of coral reefs and destroy nesting habitats for Sea Turtles. Additionally, coral diseases and bleaching events will result in greater coral mortality, less coral cover and ultimately to a decrease in biodiversity . One lifetime is unfortunately not long enough to explore all the interesting scuba diving opportunities the Coral Triangle has to offer, but at least I try. Kimbe Bay, West New Britain, Papua New Guinea - You will have pristine reefs all to yourself when visiting this stunning dive location. 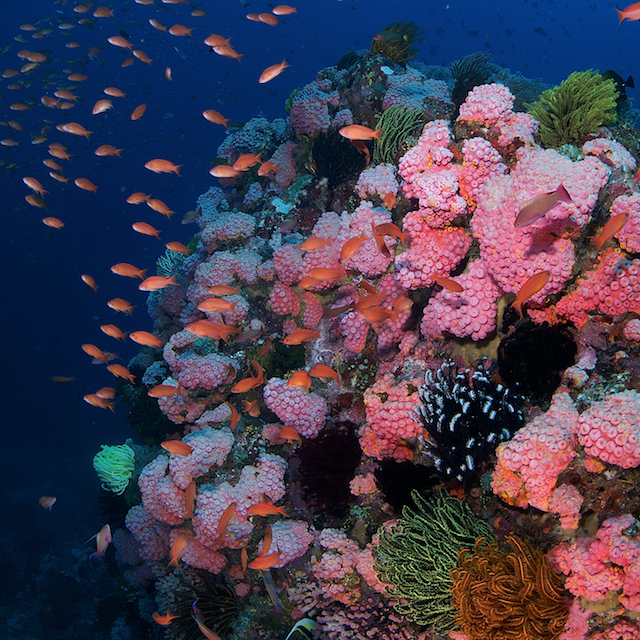 The reefs are teeming with life, healthy populations of just about any tropical reef fish family you can think of. Reef sharks patrol the sea mounts rising from deep water. With a bit luck you will encounter all kind of pelagics, including mantas, dolphins and orcas. Some of the fringing reefs provide also opportunities for macro photography. Marovo Lagoon, New Georgia Islands, Solomon Islands - This is one of the places that should be on every passionate warm water diver's bucket list. The topside scenery is as beautiful as it can get, especially when flying low over the countless islands and reefs of this massive lagoon, one of the longest in the world. 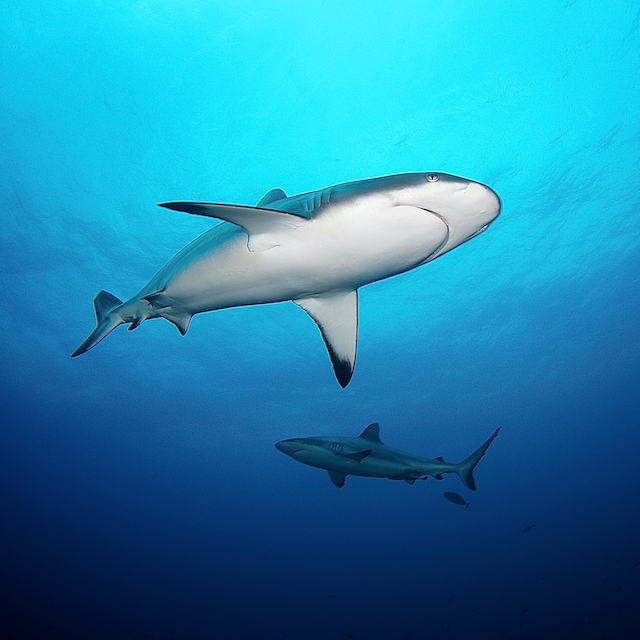 Below sea level you will encounter reef sharks on nearly every dive. Eagle Rays and Mobulas are also commonly spotted cruising the reef slopes and schools of mackerels and fusiliers adding to the commotion. The amount of reef fish is staggering. 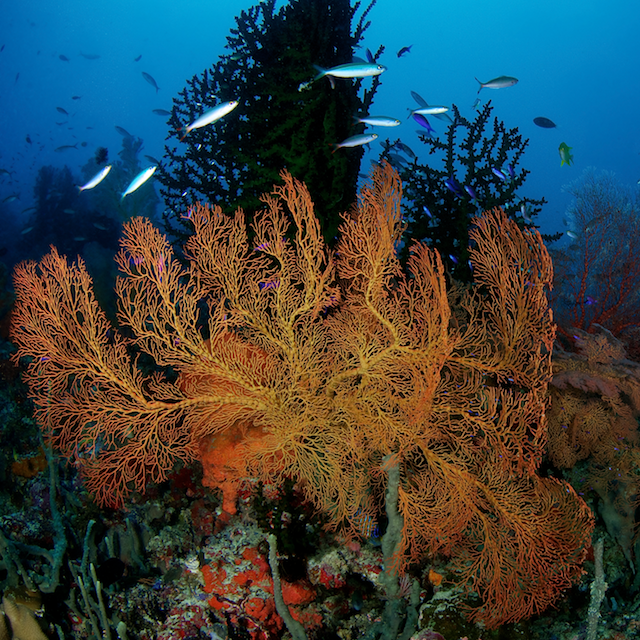 These pristine reefscapes feature massive gorgonians, offering beautiful moments for the wide-angle photographer. 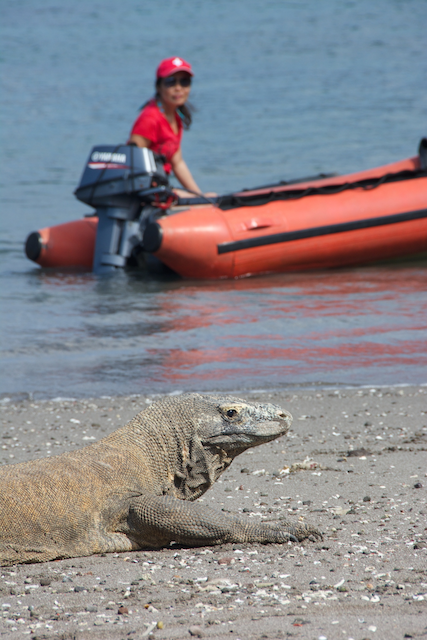 Komodo National Park, East Nusa Tenggara, Indonesia - Komodo is a long time favourite for SCUBA divers visiting the Coral Triangle even though the most famous inhabitants of the park are terrestrial reptiles, the famous Komodo Dragon. 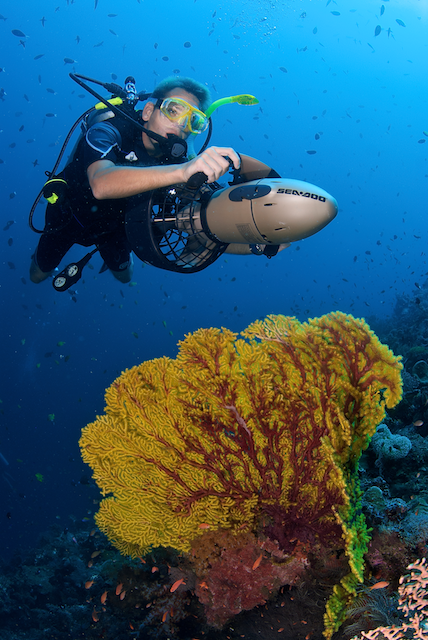 Komodo offers a bit of everything for divers; from action packed high speed current drift dives with giant trevallies and reef sharks, to manta ray aggregations and calm bays with a wide range of colourful nudibranch and other critters. The topside scenery is spectacular with typical eastern Indonesian dry forests that seem incongruous with perceptions of Indonesian rainforests (WWF) . Tubbataha Reefs Natural Park, Palawan, Philippines - These two very remote atolls in the middle of the Sulu Sea are only accessible for recreational divers during 4 months of the year. Park Rangers guard the reefs during the "off season" thus giving it plenty of time to thrive without direct human impact. The reefs were once heavily exploited and damaged, but protection started 25 years ago and is showing impressive results today. There are plenty of sea turtles on these reefs and outstanding fish life, including a healthy population of humphead wrasses. Dolphins, manta rays and reef sharks are commonly seen, so are large schools of jacks and chevron barracudas. With a bit of luck you get to see whale sharks if the plankton, these filter feeders favourite food, is abundant during the time of your visit. Nino Konis Santana National Park, Timor-Leste – The first and largest marine park in the relatively new country Timor-Leste. There are some incredible beautiful hard coral reefs to be found in Nino Santana National Park, which however are very rarely visited by tourists due a lack of infrastructure. The park’s fish population is plentiful and thriving, making it unfortunately also a target for poachers from neighbouring Indonesia. 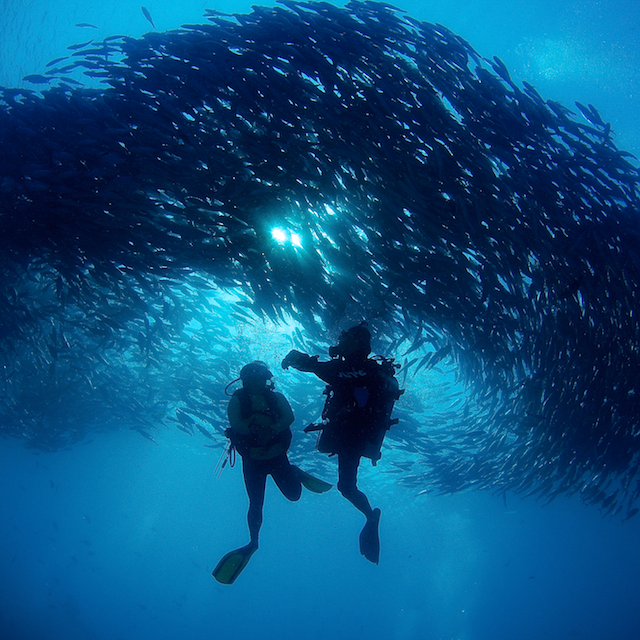 Large schools of barracudas, fusiliers, snappers, sweetlips and surgeonfish are omnipresent. The channel between Jako Island and the mainland holds a very large aggregation of garden eels and reef sharks can also be encountered here. Cetaceans on their migration are often spotted passing through the national park. Milne Bay, Papua New Guinea - Another scuba diver's must-visit in Papua New Guinea with a variety of different environments, from mandarin fish muck diving to steep drop-offs with possible hammerhead shark encounters. Coral pinnacles ablaze with fish life and schools of baitfish will challenge the most accomplished underwater wide-angle photographer. 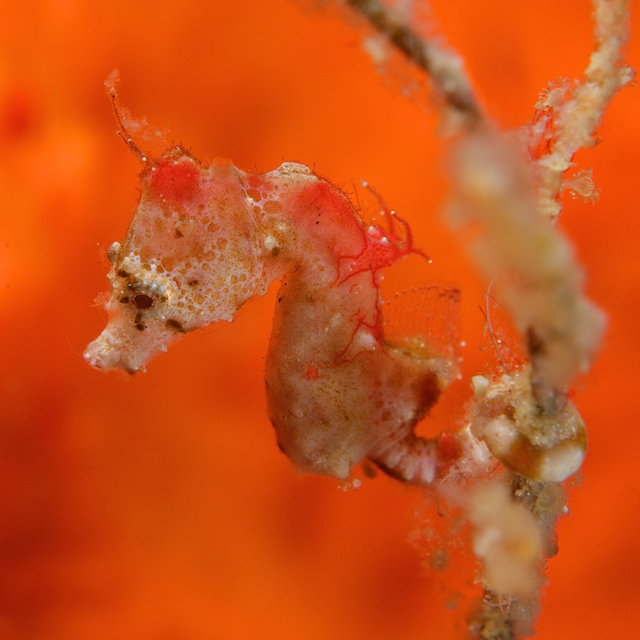 In the macro category you can find special gobies, seahorses and a huge array of rarely-seen nudibranchs. The topside scenery is stunning from mountains and rainforests to deserted islands with white sandy beaches and the locals are very friendly. Raja Ampat Marine Park, West Papua, Indonesia - This marine park in the Indonesian part of New Guinea is now visited by a growing numbrer of liveaboards. 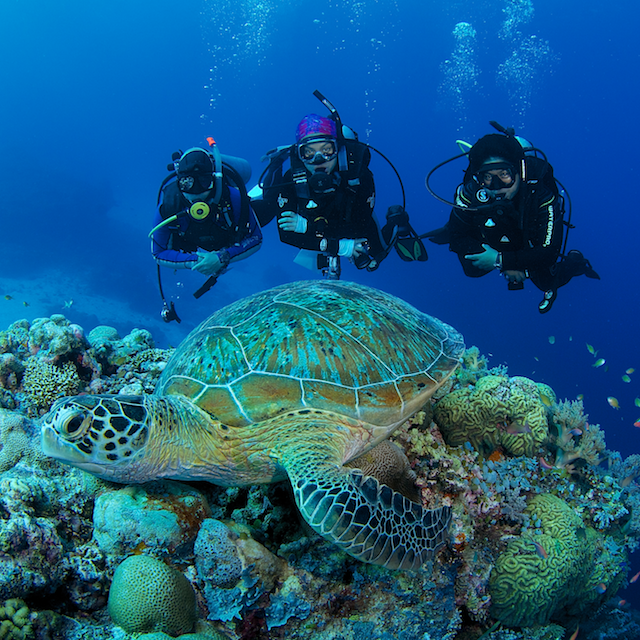 Diving is spectacular and features anything from manta ray cleaning stations to sandy muck dive sites. Fish abundance is outstanding and sometimes even "overkill" for some photographers. Over the past decade Raja Ampat made headlines as marine scientists discovered a number of formerly unknown fish species. 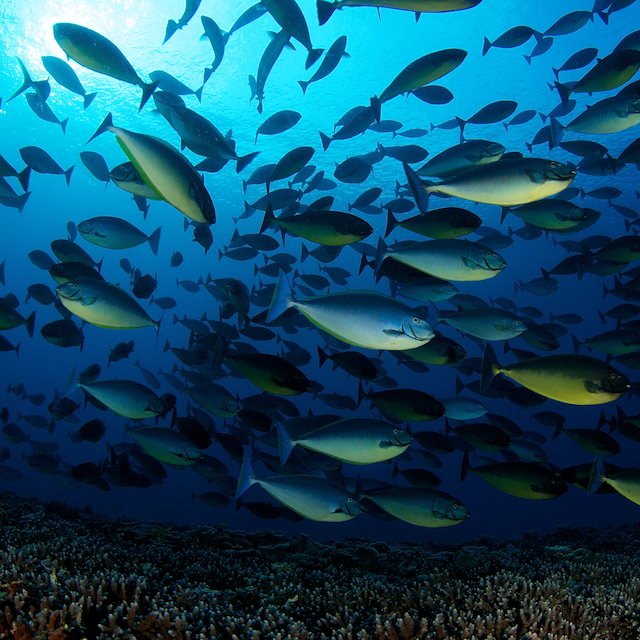 Some scientist call the area even the epicentre of fish diversity. Raja Ampat National Park is generally dominated by rocky islands of limestone, covered with lush rain forest right down to the water's edge. Sipadan Island Park, Sabah, Malaysia - Diving the steep drop-offs surrounding the small island of Sipadan is an experience not quickly forgotten. Even though dive operations in the park are regulated by a daily quota, it is common to see other dive groups in the water. This however doesn't diminish the fact that there is hardly any other dive location where certain marine life are (almost) 100% guaranteed to be seen in a single dive. Huge school of chevron barracudas, jackfish and bumphead parrotfish are on this list together with reef sharks and an unusual large number of sea turtles. Spend a few more dives there and you will most likely see dogtooth tunas and maybe even a hammerhead shark. Lembeh Straits, North Sulawesi, Indonesia - One of the best places to find and observe weird critters is the Lembeh Straits in Sulawesi. 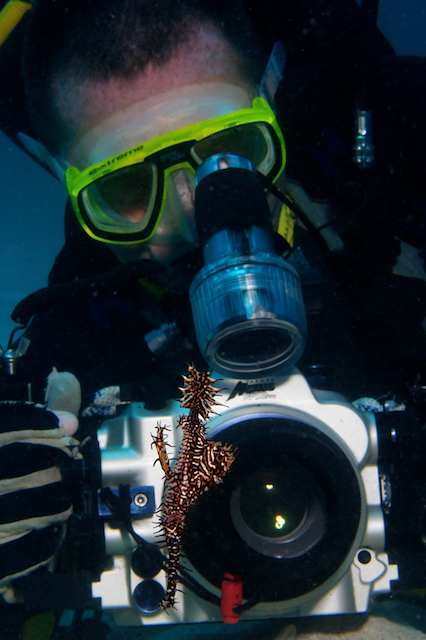 Underwater photographers flock to the dive sites along the dark sandy beaches of the Lembeh Straits on the search for the unusual and are often rewarded with encounters of wonderpus, hairy frogfish, flamboyant cuttlefish and the bobbit worm. If you have an interest in observing marine life behaviour, diving Lembeh Straits never gets boring, and shallow 2-hours dives are frequent. The only drawback is probably the proximity to the city of Bitung which unfortunately causes the dive sites to be littered with garbage at times. Anilao, Batangas, Philippines - Being only 3 hours from metropolitan Manila, Anilao and the Verde Passage has become very popular with local divers especially during the weekends. The area features very pretty coral reefs, but it has definitely made itself a name as one of the best muck and critter diving sites in the Coral Triangle. 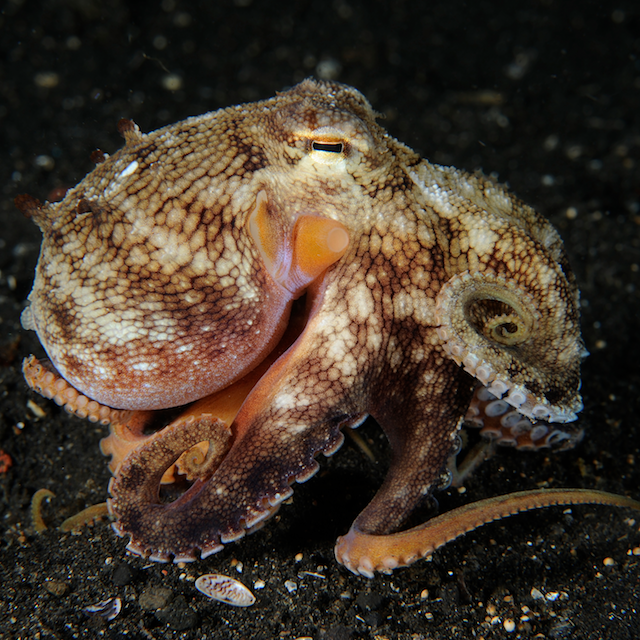 It's not uncommon to see as many as 6 different octopi species on one single dive and clown frogfish, harlequin ghost pipe fish, flying gurnard and seahorses are seen on almost every dive. The Verde Passage is also known to be very rich in reef fish and claims to be one of the hotspots for fish diversity in the Coral Triangle.